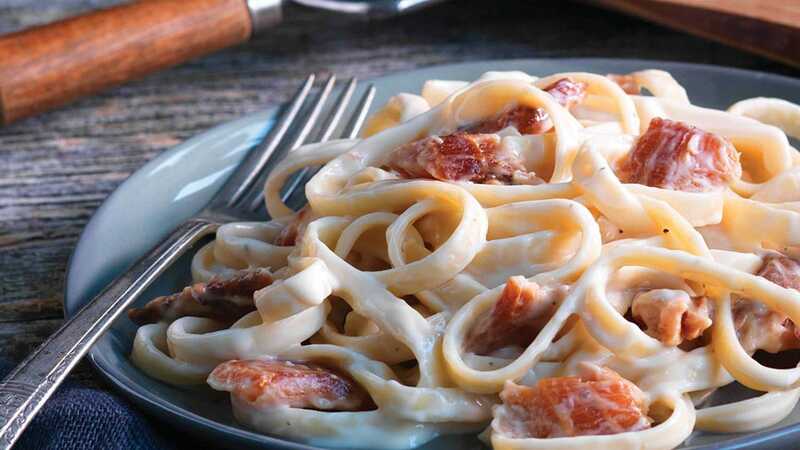 Go ahead and have dessert for dinner. 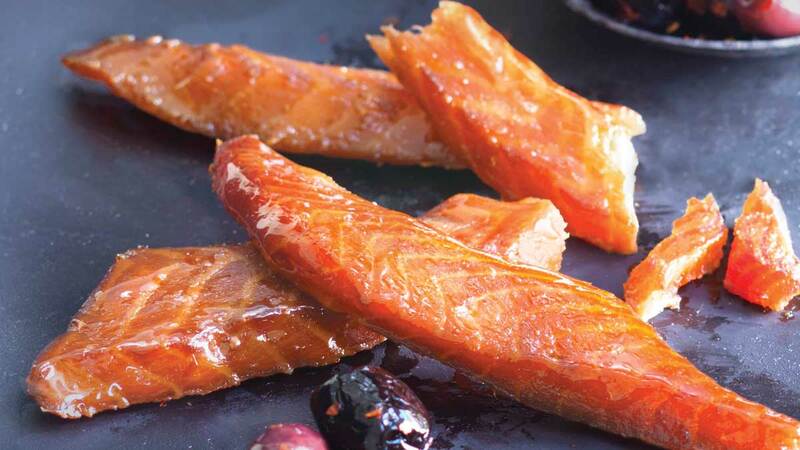 You’re about to develop a sweet tooth for our ready-to-eat candied salmon. 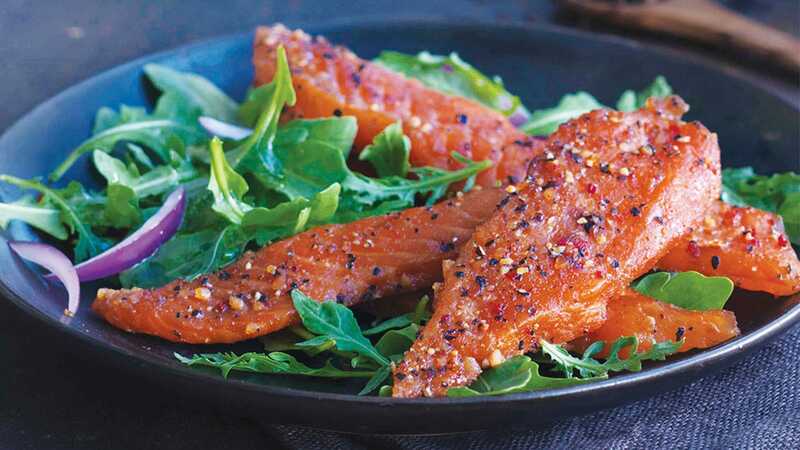 Fresh Atlantic salmon strips are cured in a proprietary blend and then lightly smoked in a hardwood combination until they’re absolutely addictive. 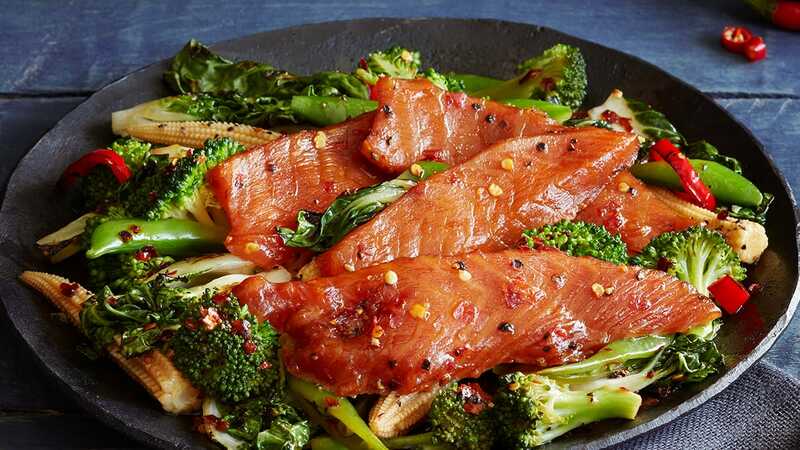 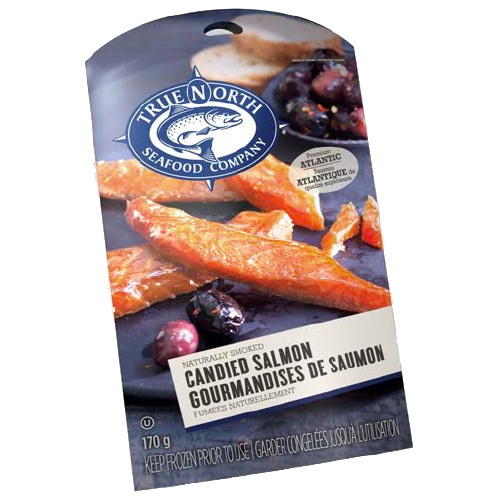 Our ready-to-eat candied salmon is perfect for salads, elegant appetizers or on their own as a delicious snack.